On Monday, the United States banned American firms from selling parts and software to ZTE Corporation for seven years, dealing a severe blow the Chinese telecoms manufacturer and potentially exacerbating tensions with its main economic rival. Now ZTE has vowed to use all legal means at its disposal to defend itself against the 'unfair' and 'unacceptable' sanction. "It is unacceptable that BIS insists on unfairly imposing the most severe penalty on ZTE" the company said in a statement, "The Denial Order will not only severely impact the survival and development of ZTE, but will also cause damages to all partners of ZTE including a large number of US companies." ZTE, just like many other phone manufacturers, uses hardware from Snapdragon chipset developer Qualcomm, and Android software from Google, both of which it could lose access to under this ban. Without Android, it's hard to see how ZTE could remain competitive internationally. Why is this ban in place? 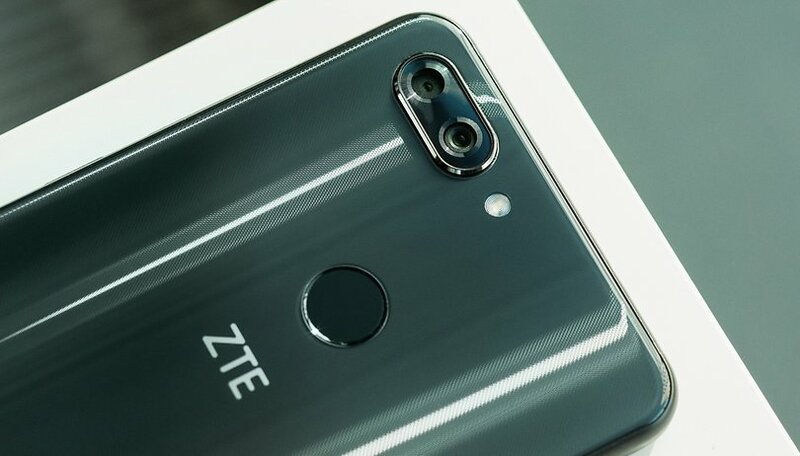 ZTE has been suspected of spying on US citizens, just like fellow Chinese brand Huawei, but it's actually not about that this time. Instead, it's about ZTE violating US sanctions against foreign powers. The ban from the US Commerce Department’s Bureau of Industry comes after ZTE pleaded guilty in March 2017 to illegally shipping US equipment to Iran and North Korea. In the settlement, ZTE agreed to pay up to $1.2 billion in fines and to take action against the employees involved in the violations. However, the Commerce Department said on Monday that ZTE officials lied about reprimanding the employees and even gave some of them full bonuses. The seven-year denial order comes as a punishment for ZTE for dodging its responsibilities and trying to cover it up. ZTE statement insists that the company prioritizes compliance as the cornerstone of its strategy, citing an investment of $50 million in export control compliance projects in 2017 and plans to invest more this year. The Chinese brand's statement emphasized its responsibility and determination to challenge the ban. However, the Chinese manufacturer faces an uphill struggle. A senior U.S. Commerce Department official told Reuters earlier this week that it is unlikely to lift the ban. “We’re going to have to see how this unfolds. But there is no provision currently for that to occur,” the official said, speaking anonymously. Android enthusiasts who follow ZTE for the affordability of its devices or interesting concepts such as the dual screen ZTE Axon M or the Red Magic gaming phone will no doubt be disappointed to see ZTE lose access to Android, or at least, the Google Play Store (since Android is technically free). For ZTE fans in the US, they could see the Chinese brand pushed out of their market. Meanwhile, in China, public sympathy is naturally with the home team. ZTE is, however, being criticized in its home country for over-reliance on foreign tech, especially chipsets. An aggressive approach from the US could stimulate Chinese efforts to develop more effective home-grown chips, but also make things harder for American companies to do business within China's sphere of influence. What do you think? Is the 7-year ban on selling to ZTE justified? More protectionist crap from the US. God forbid we have someone in office that wants to protect America instead of sell our enemies Uranium or Nuclear Reactors. Commit the crime, do the time. ZTE is crooked as hell. i got banned from their forums for asking about the debacle in Africa, in which they had a contract with Nigeria (i think?) to set up CCTV in the cities to help deter crime. it later turned out that they were mostly dummy cameras, and even the real ones weren't functional. millions or billions of dollars were paid to ZTE, and they still haven't provided. oh, and it caused a surge in violent crimes in that area.